I have written about Presencias de Música in the past, but I visited again recently and was so impressed that I have to share it again. The site is maintained by a group of volunteers, under the direction and supervision of Prof. Pablo Bensaya of Buenos Aires, Argentina. The purpose of the site is to provide resources for music education to teachers in Spanish-speaking countries, but it is a wonderful resource for anyone teaching Spanish to children. 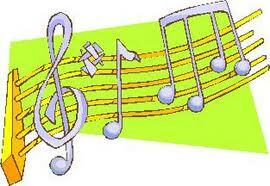 One page of the website, Cantos Educativos, has more than 300 educational songs in Spanish. All of these songs are original compositions by Pablo Bensaya. The site includes the lyrics in Spanish, the musical notation, and an MIDI sound file of each song. There is a new link Escuchar versiones en mp3 cantadas where you can hear some of the songs sung as well. Following each song you will find teaching suggestions. The suggestions that I have read and used were excellent ideas about how to engage children with the music and with the language. The suggestions are in Spanish, so depending on your level of Spanish, you might want to have someone translate them for a particular song. You can reach all the educational songs from the home page by clicking Cantos on the menu below the introductory paragraph, or by clicking here: list of educational songs in Spanish. You will find songs like Las vocales (The vowels) Contar hasta diez (Counting to Ten – There are also songs titled Counting to Twenty, Counting to Thirty, and Counting to Forty), Palabras Sinónimos (Synonyms), and Las estaciones (The Seasons). There is even a song about verbs with examples of different Spanish tenses. Not all of the songs are about basic concepts by any means, but often this is Spanish vocabulary that parents and teachers would like to reinforce through music. If you are working with beginners or very young Spanish learners, it makes perfect sense to teach just the first stanza and the chorus of many of the songs. There are also lots of songs that deal with more complex topics and would be great for Spanish students at a higher level. 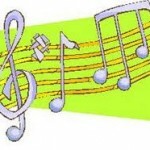 Presencias de Música will e-mail you 40 songs free. That is a lot of music! Thinking about spring and El día de la Tierra, you might want to listen to Lluvia y sol (#13), Canción de agua (#68), and Cambio climático (#259). As a language teacher, also I have to recommend Nuestro idioma (#267). The sound files sometimes take a few moments to load, so be patient after you click the speaker to hear the song. Bilingual is Better - Available to Pre-order!